Low alcohol beers – high and dry? (part two) | It Comes In Pints? Inspired by Macmillan Cancer Support’s “Sober October” campaign, ICIP has decided to use this opportunity to investigate the world of low- and non-alcoholic beers. If you missed part one, catch it here. In part two we look at the demand for these products and ask why they are not being better promoted in today’s health-conscious society. “In Norway it’s mandatory for all places who sell alcohol to also offer a non-alcoholic beer/wine,” says Terje, 30, when we hit Reddit for some international input. “There’s a zero-tolerance for driving under the influence so it’s expected both by the state and fellow citizens that you stick to non-alcoholic beverages.” Hugh, 37, tells us there is a similar attitude in New Zealand: “The culture of peer pressure around alcohol is slowly changing. There’s a legal requirement for any on-premise licensed venue to carry something under 1%”. 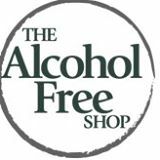 Surely this would be an strong first step – requiring all pubs to stock a low-alcohol option? “It’s not something we would say should be mandatory,” Andrew adds. “But for a number of years it has been compulsory under Home Office rules for pubs to provide water and I think that has made a difference. It always used to be a bit embarrassing to go to the bar and say “can I have a pint of water please, but now it is a lot easier.” It’s a start, at least. Now that the craft beer scene has really taken hold of the UK, higher-ABV beers are becoming more popular, and sometimes you need to take a break as a drinker to prevent your evening spiraling into oblivion. ICIP knows it has been grateful for being offered an Erdinger Alkoholfrei somewhere in the murky depths between a 7%+ offering from The Kernel and something evil by Flying Dog before now. We have also considered the labelling of alcohol. A lot of fuss has been made in the past about including the number of units on alcohol packaging, and in June 2013 it was announced that the government is to roll out a standardised labeling system for food products. But nutritional information on booze is hard to find. “The legal position is that there is an exemption for beers, wines and spirits across the European Union. That is the result of lobbying by the big wine-producing countries who for whatever reason didn’t want that kind of labeling,” says Andrew. It seems strange, at a time when we’re constantly being reminded that two thirds of the population in the UK is overweight or obese, that we’re not being given the information we need to make informed choices about the liquid calories we consume. “We’ve suggested in the past it should be considered. Consumers don’t understand a great deal about the number of calories in alcohol,” Andrew tells us. “Some drinkers graduate towards white spirits like vodka – they have a lower calorie count because they don’t have the sugars and carbohydrate you get in beer, but you get a much higher alcohol content.” He warns of the potential dangers of this: “People keen to lose weight might be drawn towards spirits, and obviously drinking spirits means you take on a number of units of alcohol quite quickly.” So there’s a risk that if labeling is not supported by the education of drinkers, it could actually lead people to be less responsible about their alcohol consumption – knocking back a few measures of 40% spirits instead of taking their time over a 4% pint. We tried to ask the Ministry of Health about their views, but the reply was predictably standard: “the Department agrees that alcohol is a major public health issue, and that a comprehensive strategy that covers information, prevention and treatment is essential in tackling it.” They had copy-pasted a swathe of blurb about all the money they have ring-fenced to fund “alcohol services” and “misuse prevention and treatment” but they were very vague about what any of this would entail. In the final installment of our Sober October series we will be taste-testing a selection of low- and non-alcoholic beers. This entry was posted in Beer and culture and tagged alcohol-free beers, Beer, BrewDog, Macmillan Cancer Support, Nanny State on 14/10/2013 by icipints. Pingback: Low alcohol beers – high and dry? (part one) | It Comes In Pints? Pingback: Abstinence makes the heart grow fonder | It Comes In Pints?